Put down your phone and focus on what’s more important in your life. 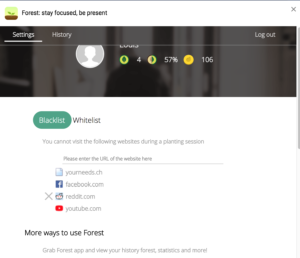 Forest is able to block websites access on multiple devices with a web browser plug-in. Each break allows you to grow a tree. You get points while you growing virtual trees. You can redeem your points and allow the NGO Trees for the Future (Trees.org) to plant real trees. To use this feature you need to buy the iOS App. Quote from trees.org about forest. Freedom is a very powerful interface to block usage of websites on all web browser during a length of time, you can schedule break during the day. 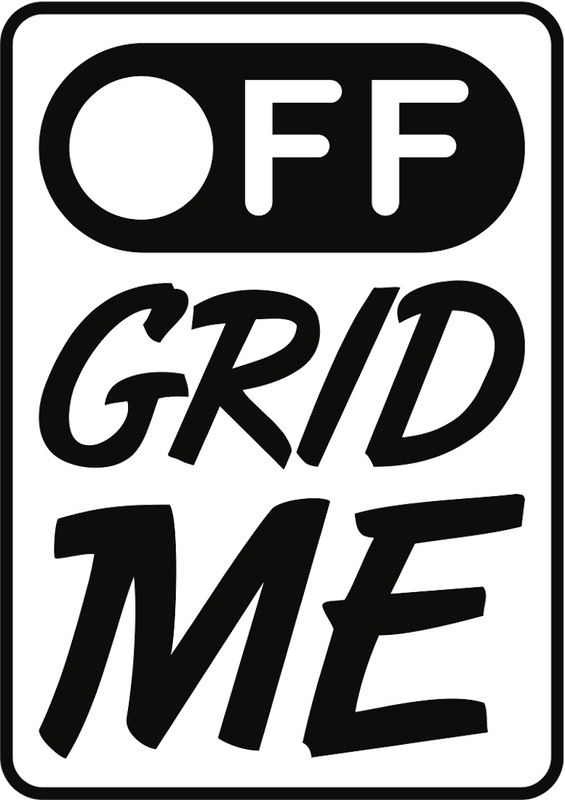 Simple to use and the gamification is a good motivation to take a break and focus on important things. Plug-ins are free and you don’t need an account to use them. There is no synchronization of the lists which is not convenient. 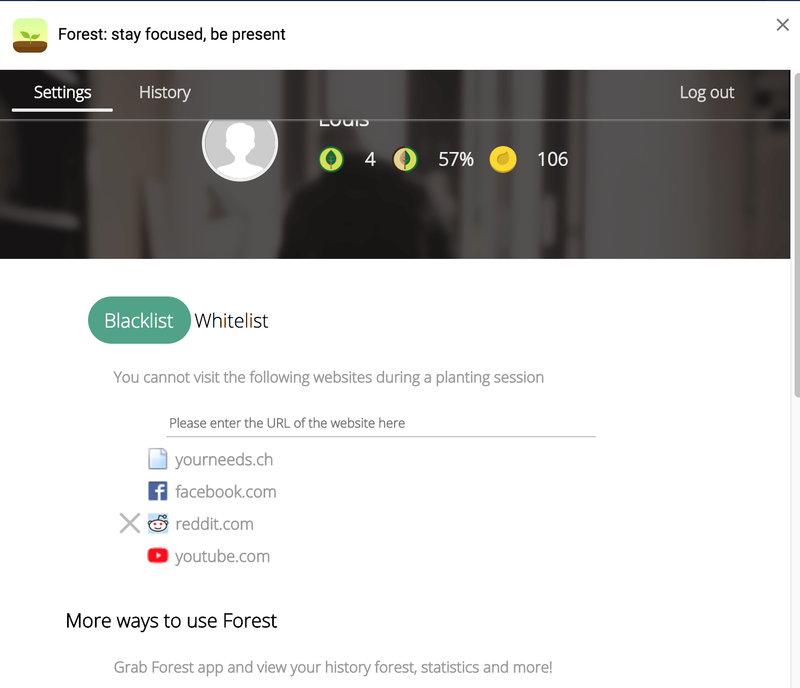 Two mode for the plugins the white list is the list of site you can use and block all others, the black list is the list of site that you block. The iPhone App is not a web blocker, It just forces you not to use another App during the break. Forest is an application to help you focus on your work more than doing a digital detox.